These units have a mild steel chassis for strength and stability along with a unique graphic system. Simply pull up the magnetic acrylic screen and the graphic becomes a professional display. The units are finished in either Silver or Black Powdercoat as standard, other colours are possible for quantity orders (please contact us for details). 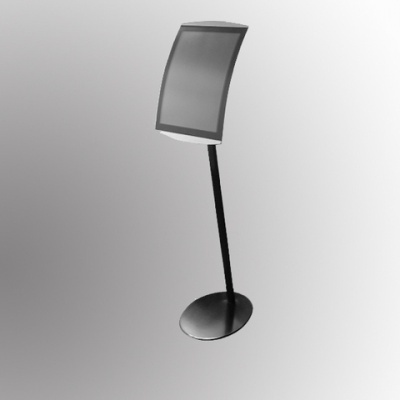 Assembly is very simple and the head of the unit can be mounted in either Portrait or Landscape aspect.